The dispute between Oculus VR, a wearable virtual reality technology company that Facebook is acquiring, and ZeniMax Media reached court Wednesday. 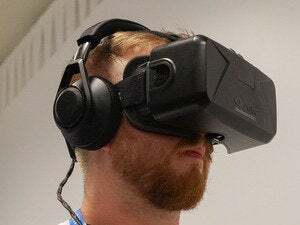 ZeniMax is suing Oculus for exploiting commercially intellectual property the games publisher allegedly shared under a non-disclosure agreement with Oculus, which enabled it to improve on its “crude prototype” of a virtual reality headset. Facebook said in March it had reached a deal to buy the developer of the Oculus Rift headset for about $2 billion. The non-disclosure agreement expressly provides that ZeniMax’s intellectual property cannot be disclosed to or used by any third parties without its prior written approval, according to the complaint. “Defendants now stand to realize billions of dollars in value from ZeniMax’s intellectual property,” ZeniMax said in its complaint in the U.S. District Court for the Northern District of Texas, Dallas division on Wednesday. Oculus never obtained a license for the use of ZeniMax’s property, which included copyrighted computer code, trade secret information, and technical know-how, nor any right to sell or transfer it to third parties, the complaint said. The dispute between the two companies hinges around alleged collaboration from April 2012 between Oculus founder Palmer Luckey, then a video game enthusiast working on a headset, and John Carmack (pictured at top wearing an Oculus Rift) who was technical director for ZeniMax’s Texas-based subsidiary, id Software, until he joined Oculus in August 2013. Carmack, a well-regarded games programmer, had agreed on joining ZeniMax that it would be the author and owner of any copyrightable works that he prepared within the scope of his employment, the complaint said. 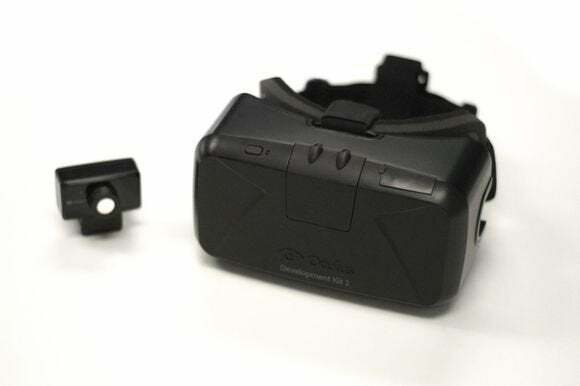 The Rift headset was at that time a crude prototype that lacked a head mount, virtual reality-specific software, integrated motion sensors, and other critical features and capabilities needed to create a viable product, according to the complaint. 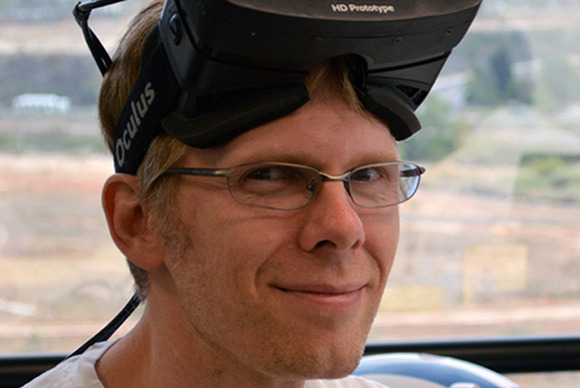 Carmack and others at ZeniMax worked with Oculus to transform the Rift by adding physical hardware components and developing specialized software for its operation and modified it to run with id Software’s computer game “DOOM 3: BFG Edition” which enabled demonstrations of ZeniMax’s virtual reality technology, the filing said. “Without it, there would not have been a viable Rift product,” according to the complaint. After what ZeniMax describes as a successful demonstration and “positive press” of its virtual reality technology at the Electronic Entertainment Expo (“E3”) industry convention in Los Angeles in June 2012, Luckey realized the opportunity presented by virtual reality technology and formed Oculus to commercialize the Rift a few days later. “Oculus used ZeniMax’s hardware and software technology to create a software development kit (SDK) for the Rift and to develop, modify, and tune the Rift hardware,” according to the complaint. Up to 2013 the companies negotiated the terms of the compensation for the technology and assistance but no resolution was reached and ZeniMax claims Oculus never provided it with any compensation whatsoever. In September 2012, Oculus proposed giving ZeniMax a stake of 2 percent for its contributions and selling it an additional stake of 3 percent for $1.2 million, but ZeniMax asked for more. The lawsuit which accuses Oculus and Luckey of misappropriation of trade secrets, copyright infringement, unjust enrichment, breach of contract, among other counts, seeks damages and other relief at time of trial by jury. ZeniMax through counsel had earlier written to Carmack and Oculus to assert its intellectual property rights. The letter to Carmack was written before Facebook announced its proposed acquisition of Oculus, according to the complaint. “The lawsuit filed by ZeniMax has no merit whatsoever. As we have previously said, ZeniMax did not contribute to any Oculus technology. Oculus will defend these claims vigorously,” Oculus said in an emailed statement.